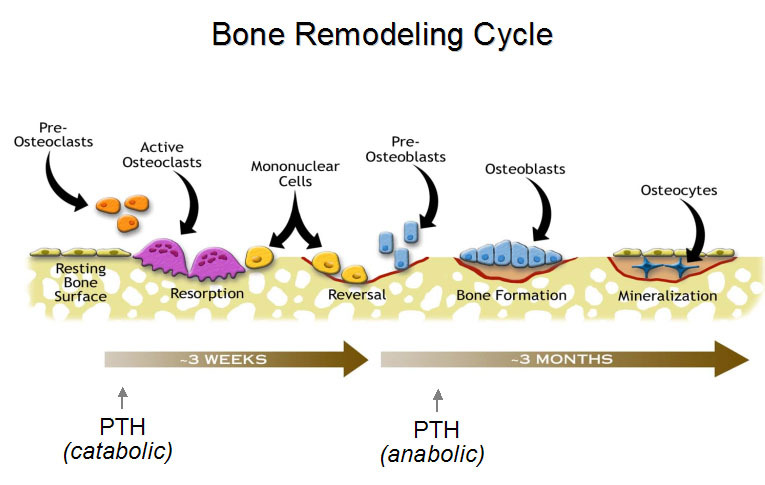 Reporters: Ritu Saxena, Ph.D. and Dr. Venkat S. Karra, Ph.D.
Merck & Co. declared yesterday, July 12 2012, that it is ending a last-stage clinical trial of the osteoporosis drug Odanacatib based on the results demonstrating the effectively in reducing the post-menopausal fracture risk. Safety and effectiveness of the drug were being evaluated in the trial enrolling more than 16,000 post-menopausal women and there was clear evidence that the drug was working. Hence, an independent committee decided to end the trial before completion. It was expected to continue until hip fractures had been reported in 237 patients. Merck said the interim analysis was conducted when around 70 percent of the targeted number of hip fractures had been reported. Merck said that it expects to target regulatory approval in the U.S., European Union and Japan in the first half of next year. Odanacatib is designed to block cathepsin K, the major enzyme in osteoclasts that is responsible for breakdown of existing bone tissue. Osteoclasts, bone “eroding” cells along with bone forming cells, osteoblasts, are involved in bone turnover. In post menopausal osteoporosis, there is a decrease in bone turnover. Blocking the activity of osteoclasts would shift the equilibrium towards bone formation by relative increase in osteoblasts. Earlier studies have performed 2-3 year long clinical trials showing its effectiveness in treating post-menopausal osteoporosis with a progressive increase in the bone mineral density, increase in bone formation markers expression in molecular studies and that it was generally well tolerated.. The oral drug, taken weekly, is considered more convenient than an older class of osteoporosis drugs known as bisphosphonates. Bisphosphonates, target osteoclasts and have shown to increase the risk of a severe bone disease, osteonecrosis of the jaw. Other safety concerns have also lead to the decline in the use of bisphosphonates. Sales of Merck’s bisphosphonate drug Fosamax reached $3 billion in 2007, but that revenue has plunged since emergence of generic competition in early 2008. Wall Street analysts, on average, have forecast annual sales of odanacatib at $402 million by 2016, according to Thomson Pharma.